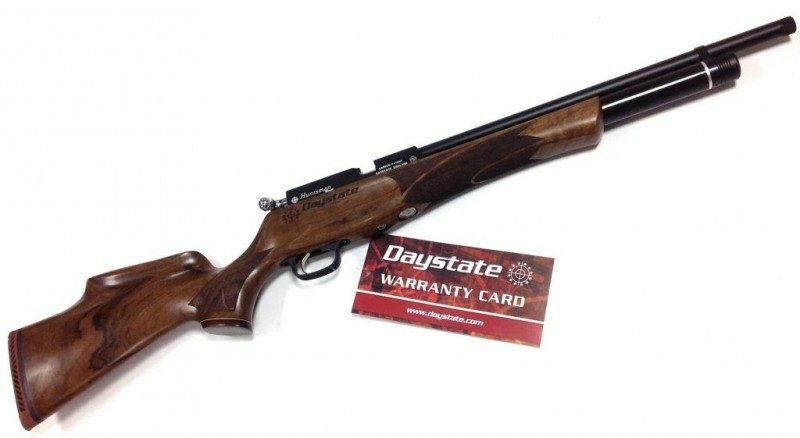 Daystate Huntsman Regal XL HR - FREE S&H - Indiana Airguns! The Daystate Huntsman Regal XL HR has a larger air reservoir and integrated Huma Regulator, providing more shots per fill and improved shot to shot consistency. It’s available in .177, .22, and .25 calibers. Call for exact delivery times. Rifle does NOT include moderator, scope, or scope rings. The Daystate Huntsman Regal XL HR combines all the elements of a classic sporting air rifle. The Regal XL provides a larger air reservoir over the standard Regal., providing more shots per fill. It’s available in .177, .22, and .25 calibers. The stock is made with a beautiful lightweight walnut that’s designed to seat the action lower. This stock design perfectly mimics the feel and handling of a traditional hunting rifle. 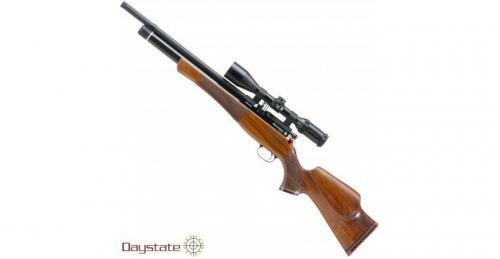 The Huntsman maintains all the features air gun shooters have come to expect from a Daystate PCP air rifle. The Huntsman Regal XL HR offers a shrouded match-grade barrel, providing excellent accuracy. The patented Harper Slingshot hammer and valve system delivers great shot to shot consistency and up to 40 ft/lbs muzzle energy. The Huntsman Regal XL HR comes with, in our opinion, the best rotary magazine on the market today. If you’re a single shot person, it also comes with a single shot tray. The Huntsman Regal XL HR incorporates an air regulator designed in collaboration with Dutch pneumatic specialist Huma, the HR model improves the Regal’s already consistent velocity, and extends its shots-per-charge count up to 70%. And all this achieved without so much as a millimetre added to the standard model’s cylinder length!